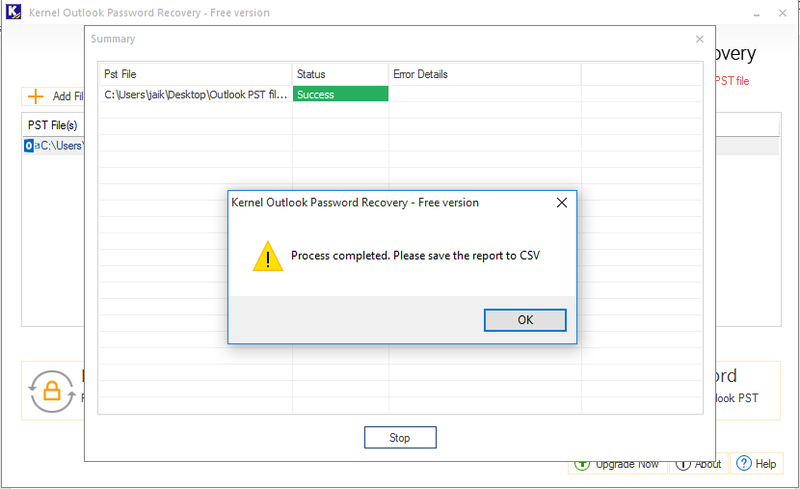 How to use Kernel Outlook Password Recovery Tool? Launch Kernel Outlook Password Recovery tool. 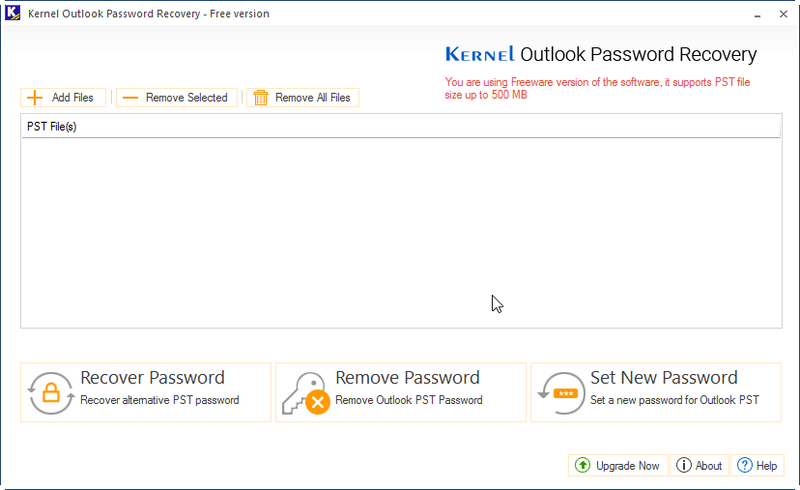 Click Add Files, select the PST files, and click Recover Password. 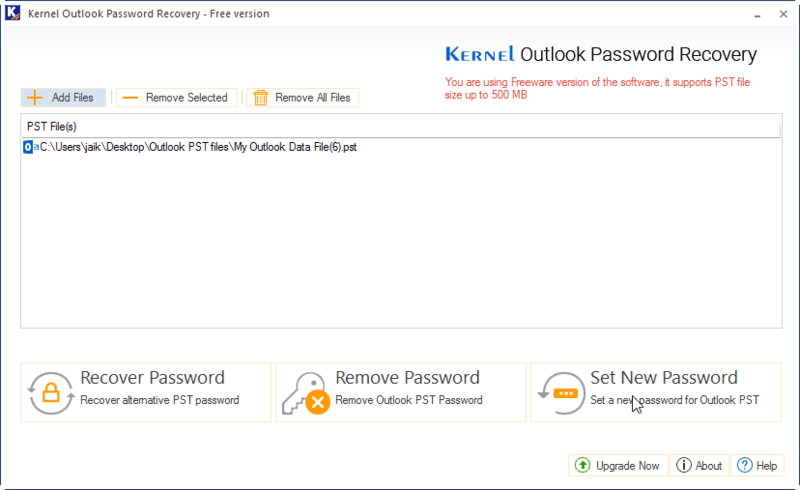 Click OK upon the recovery of Outlook PST password. Click OK again. Note: To save report to a CSV file, click Save Report to CSV. Provide a name for the CSB file and click Save. 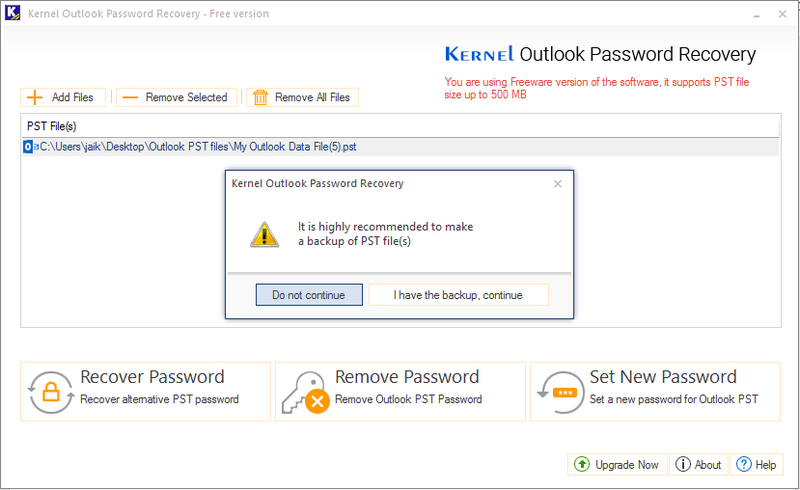 Click Add Files, select the PST file, and click Remove Password. Click I have the backup, continue. Note: If you don't have backups, it is recommended that you click Do not continue. 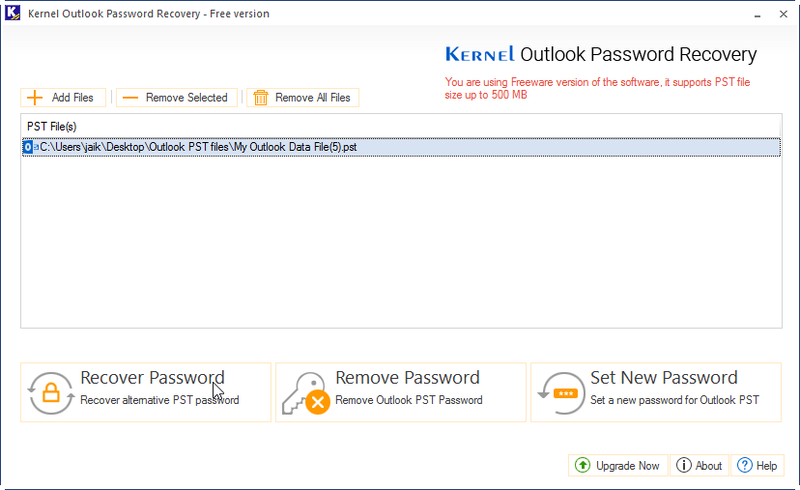 Click OK upon the removal of Outlook PST password, Click OK again. Note: To save report to a CSV file, click Save Report to CSV. Provide a name for the CSV file and click save. 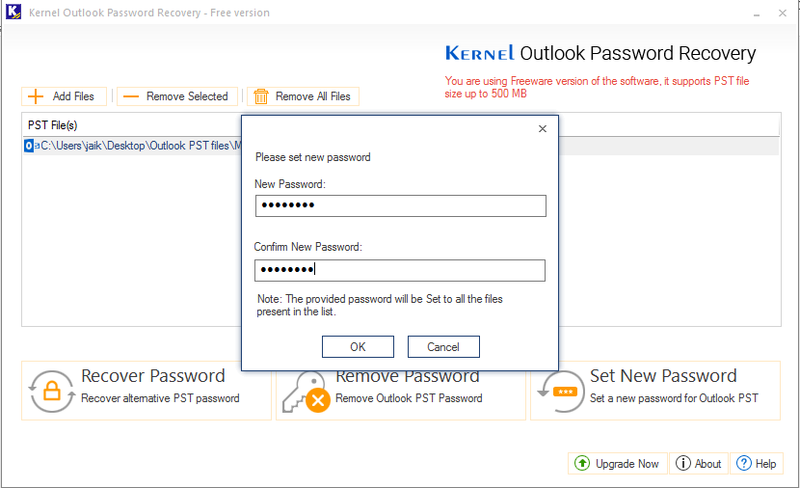 Click Add Files, select the PST file, and click Set New Password. 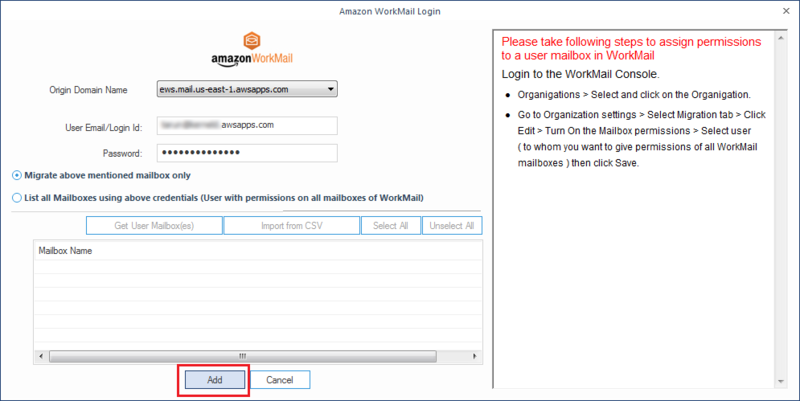 Enter a password and verify the password. 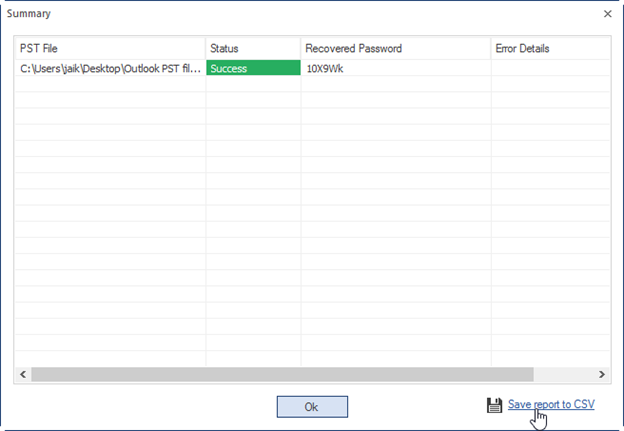 Click OK.
Click OK upon the resetting of Outlook PST password. Click OK again.